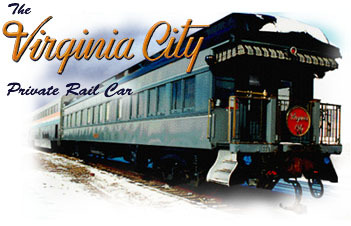 The Virginia City is a fully self-contained private rail car that can travel anywhere on the Amtrack rail system in the United States. While you are at the 1996 Olympics, stay in the heart of Atlanta in your own private railcar. Live aboard the Virginia City and Silver Iris. BOOK NOW! Copyright © 1996 The Virginia City Rail Corp.